Our new ELAW Fellow arrived Saturday night! 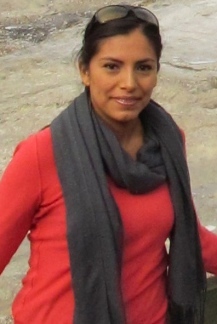 Minerva Rosette is an environmental engineer with the Southeast office of Centro Mexicano de Derecho Ambiental (CEMDA, Mexican Center for Environmental Law). We are collaborating with Minerva to protect communities and coastlines on the Yucatán Peninsula. During her Fellowship, Minerva will meet with ELAW Staff Scientists to learn about the dangers that herbicides pose to waterways, model protocols for protecting marine fisheries, and protecting fragile soils in Quintana Roo. Waste management in Mexico is an enormous problem. Minerva will learn lessons from Eugene's waste management system on tours of NextStep Recycling, the Glenwood Transfer Station, and Short Mountain Landfill. Before joining CEMDA, Minerva worked with local communities to conserve the biodiversity of the Sierra Tarahuamara. We look forward to collaborating with Minerva and connecting her with the global ELAW network! P.S. Many thanks to Eric Wold and Brinda Narayan-Wold for hosting Minerva while she is in Eugene. If you would like to host an ELAW Fellow, please contact me at maggie@elaw.org.